Acupuncture for Balanced Wellness…..What’s in Your Carton? 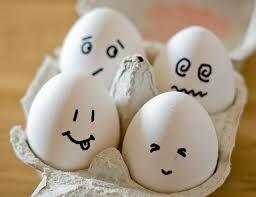 If you’re like most people, you open the egg carton to check for broken eggs before buying them at a grocery store. You will usually find one or two eggs broken in a carton. You render the carton useless and just move on to another until you find a full carton of unbroken eggs. Why must you go through the process of opening each carton? Because you can’t tell anything about the contents of the carton by simply looking at the outside packaging. Every carton looks identical on the outside, yet they can be very different on the inside. When it comes to our health, we’ve been taught that what you see and feel is what you get. If things look okay on the outside and you don’t have any symptoms, you must be health, right? We’ve come to learn that this is not the case. Many diseases and disorders such as cancer and heart disease have no symptoms or warning signs on the outside until the sickness is well into the advanced stage. Imbalances within your body’s mechanisms are no different. If there are enough “cracked eggs” in a carton, and they are left inside long enough, eventually they will begin to soak through and reveal themselves-too late. So, if you wouldn’t take a chance on a $3.00 carton of eggs, you certainly shouldn’t risk your most precious and priceless commodity: YOUR HEALTH! Copyright 2011 Acupuncture Media Works. All Rights Reserved.